Low temperature operations, whether in manufacturing or storage, can come with their own unique set of problems and challenges. There’s customer expectations that need to be managed, there’s product that needs to be handled more safely, and there’s the overall impact of having a low-temperature zone inside your warehouse. Low temperature areas, even if it doesn’t encompass the entire warehouse, can be a huge burden on your utility bills and can impact the design of the rest of the warehouse. While the temperature might not be adjustable, you can still design your low temperature area to better regulate temperature and control airflow to stop your coolers from working too hard. Use narrower doorways for your low temperature zones to prevent cold air from leaking out (particularly in areas where you don’t need a lot of foot or vehicle traffic), check the insulation at regular intervals to prevent cold air from getting out through disintegrating rubber, and use more ‘open’ shelving like wire shelving to help air flow through the low temperature zone better. A lot of low temperature storage is designed around the idea of timeliness. Products need to be shipped on time, stored for as long as they can before they expire or are no longer usable, and in cases of low temperature manufacturing the conditions need to be kept within designated safety parameters to ensure the items are built up to required specifications. To that end, you need to make sure your customers are aware of these processes and have a good idea of what to expect when it comes to delivery time, transportation requirements, and so on. Customers are likely to be more understanding of delivery timeframes and shipping requirements (such as the cost of using refrigerated trucks) if you set these expectations early on in the manufacturing and/or shipping processes. Designing your low temperature storage with a purpose in mind goes beyond just designing the room itself. While knowing how to properly insulate the room and using the right kind of rust proof storage is crucial for keeping these items safe, you need to know exactly what role low temperature storage or manufacturing is going to play in your warehouse. Are you manufacturing items in-house that need to be stored cold? Are you storing food long-term for other restaurants or retail distributors? 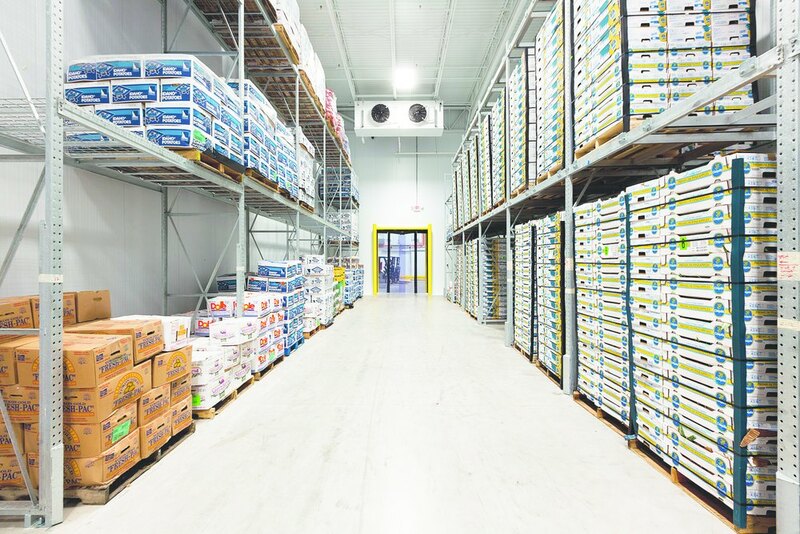 Your facility’s role in the cold chain may not be the same for every item, and better understanding your role and your needs will inform the design of the rest of your storage needs. Similarly, knowing how to specialize in low temperature operations will make it much easier to design your facility and communicate your needs to your customers. Avoid defining yourself as a ‘one-stop solution’ for low temperature manufacturing and storage and instead consider specialization into a small number of tasks—FIFO storage for frozen foods, for example, or low-temperature storage for delicate electronics like batteries that need to be kept in specific environments before they can be delivered and installed. By focusing on one area of specialization you can better serve your customers’ needs and attract future business by offering your expertise in these areas.